Rebar Sub ID tools Generate alphabetic sub id series for tapered range rebar groups in reports and drawings. Rebar Sub ID tools set has 2 Custom Attributes and 1 drawing plug-in. 1. 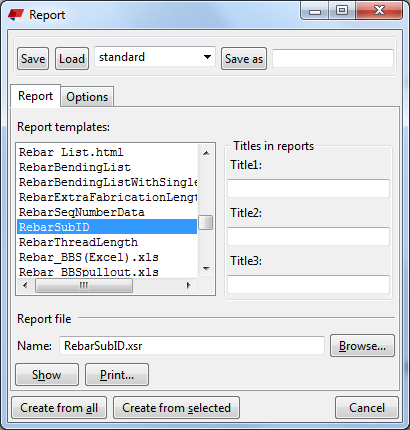 CUSTOM.REBAR_SUB_ID (This can be used in any reports to generate alphabetic sub id series). 2. 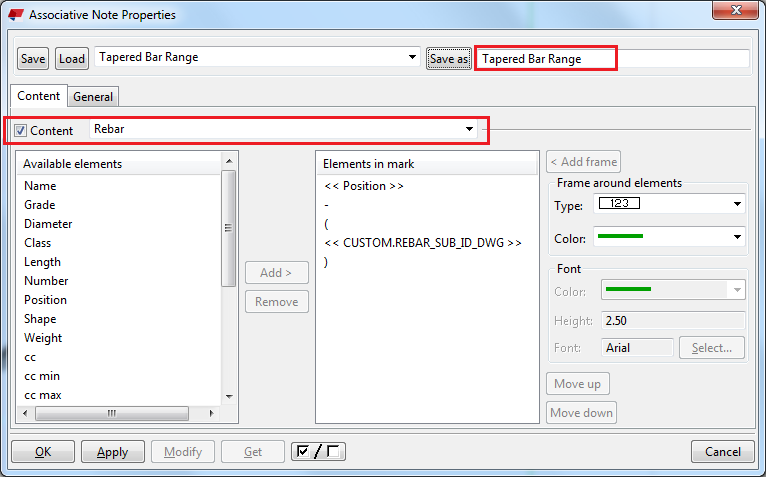 CUSTOM.REBAR_SUB_ID_DWG (This can be used in drawings to get the alphabetic sub id of the last rebar in tapered group). This is a custom attribute automatically deployed with the installer, and the installer also deploy the sample report file named “RebarSubID.rpt”. Select the tapered range group and run the report RebarSubID. Note: By using this custom attribute (CUSTOM.REBAR_SUB_ID) user can configure their own reports for getting the alphabetic sub Id series. For reference go through RebarSubID.rpt. This is a custom attribute automatically deployed with the installer. This custom attribute can be called any were in drawings like marks, note etc. to get the last bar alphabetic sub id. Note: This is very useful for the below plug-in. Alphabetic sub-id associative notes are added at both ends of the dimension line according to the range created in model. Associative Note Attribute allows to select the appropriate Associative Note Attribute file. 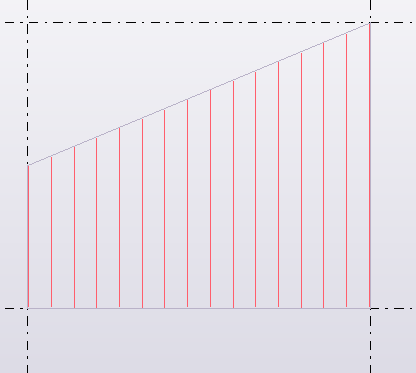 The content of the associative note should be configure properly, the same content will be displayed on the dimension line. sample configuration and how it reflects on dimension line. As highlighted in red color, the Content of Associative Note property should be always Rebar.